This quote is truly an all-time favorite of mine. 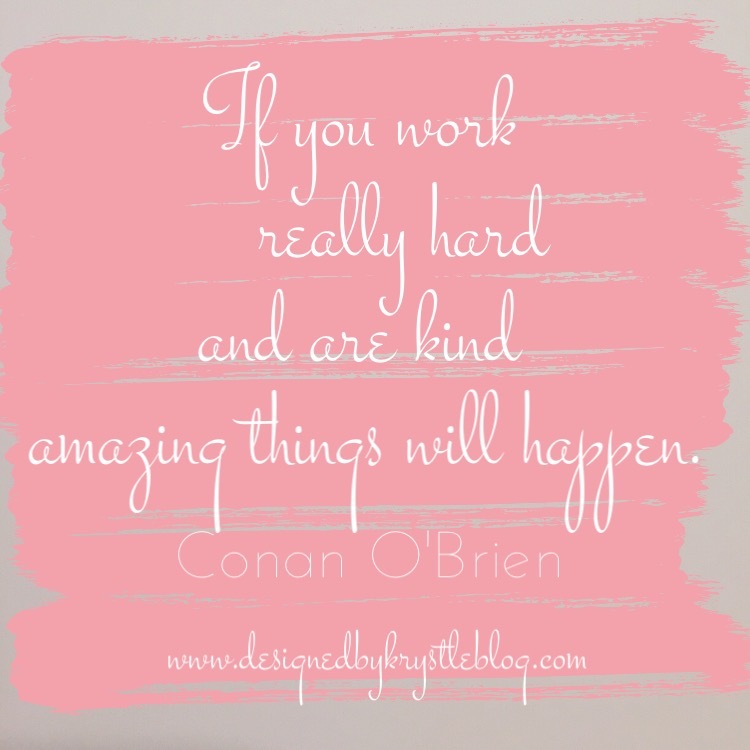 There is so much truth in the words that hard work and kindness will ultimately pay off. Conan O’Brien said this in his farewell speech and it resonated with a lot of people. I think the message is that rather than feeling down and like nothing is going to work out, you have to keep your head up, keep a positive attitude, work hard, be kind to others and things will start to really take shape and work out for you. This isn’t something that will be an overnight transformation, it is something that you will have to stay dedicated to, but if you keep on it you will see the payoff. I definitely am in the thick of it right now, working so hard and always trying to be kind and stay positive, I can’t wait for the great things that are on the horizon!